“It’s not a race”. You’ll probably hear this said during the riders’ briefing at the start, followed by laughter because, as with any sporting event, some people always treat them as a race and everyone knows that. They’re not races, because using the word “race” for cycling on the road triggers all sorts of legal, health and safety, and insurance issues, which would involve getting the police and local authorities involved and making organising such events prohibitively difficult. So, if a Sportive is not a race, what is it? Well they are long distance cycling events. 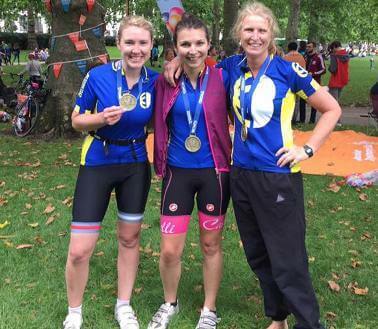 Sportives are to cyclists what marathons and half marathons are for runners – long distance challenges. Most people who run marathons are not racing, they’re just trying to complete the distance, although many often target a particular time or are keen on improving last years performance or their personal best. What kind of distances are we talking about though? Well your average full-length course comes in at around the 100 mile mark. There or thereabouts anyway. However most events have a shorter option too – often 35, 50 or 70 miles – for those who don’t yet feel ready for the full distance or who, for whatever reason, don’t feel like going the distance on the day. There are sportives to suit everyone both locally and all over the country, over all sorts of terrains. Some are open road, with others, typically the larger iconic events being closed roads. Effectively they’re a great way to see another part of the country, enjoy the unfamiliar scenery and the challenge, without having to look at a map at every junction! You also get to ride in the company of like minded people – from a few hundred of them to a couple of thousand at the very big events. Other people who don’t think you’re mad for spending several hours riding a bike for fun, rather than just to get somewhere. So what do you get for your entry fee? What makes this better than just going riding somewhere on your own? Well generally speaking, you get free parking at an HQ with facilities, a well sign-posted route, with marshals and mechanical support, well-stocked feed stations along the route, nice scenery, quiet country roads, and some interesting hills to test yourself against. Most events are timed, though timing comes in many forms – from the simple stopwatch “time you in and out” variety, to high-tech electronic timing tags. Some events have motorcycle outriders, and these days as well as a route card, many also have the route available to download in advance for the gadget of your choice – everyone knows how much we cyclists like our gadgets! There are usually photographers on the route too, typically lurking on the worst hills, to capture your smiling (!) face as you slog your way up, and give you the opportunity to purchase a souvenir of the day afterwards. And when you finally cross the finish line you’ll probably get some form of Medal, goody bag, the contents of which vary massively depending on the event, the entry cost, and any sponsors involved. But no-one cycles 100 miles to get a Medal, free water bottle or t-shirt, so I think it’s fair to say that the goody bag is more of an added bonus rather than an incentive. The sportive season runs roughly from March to October – when there are still enough hours of light in the day to complete the distance along with the hope of at least semi-reasonable weather. Having said that there are now some shorter events running through the winter too, so it’s becoming far more of a yearround thing. How many sportives do people do? How long’s a piece of string? Maybe you set yourself one big goal event to do in the year and spend the whole year training and preparing for that. Maybe you do one a month during the season. There are so many sportives now that if you wanted to you could probably do two a weekend with extras on Bank Holidays. Probably not a good idea on the bank balance or personal relationship front though! Your first sportive will probably just be about challenging yourself to do the kind of distance you’ve never done before, which is goal enough in itself. 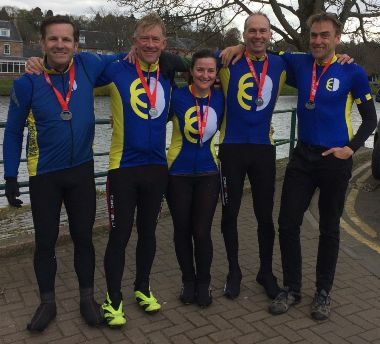 Often doing a charity sportive as your first event provides that extra incentive to get the training in and to complete the ride, as well as raising money for a good cause, of course. After that, once you’ve got the bug, (which you will! 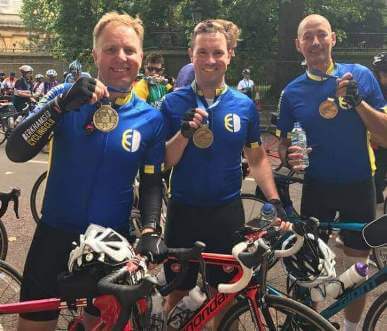 ), you can work up to riding the longer sportives, or hillier ones, or multi-day events – whatever kind of challenge suits you. 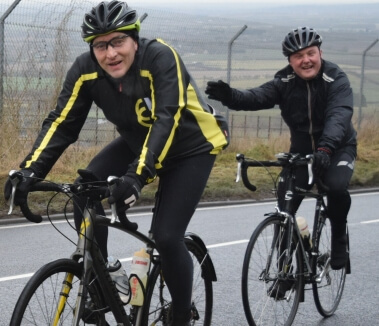 The first time you cycle 100 miles in a day comes with a serious sense of achievement – that’s a lot of hours in the saddle! We have provided a list of great local events and some Sportives members have recommended. If you need any support, advice or encouragement just click here to email to our Sportives Officer Mary Holden.